There are always heroes and there are villains; and it was no different as the Philippines played Tajikistan for a place in the semi-finals of the 2012 AFC Challenge Cup. First, for the villains; although, on second thoughts, let me correct myself and reduce that to the singular – villain. That Tajikistan took the lead at all in first half added time is highly debatable. Granted, perhaps the corner could have been dealt with better; and, in fairness, Neil Etheridge in the Philippine goal was well beaten. Carlos de Murga, guarding the far post, managed to clear. The referee, after consulting with his assistant, awarded the most mystifying of goals. The ball probably went in. De Murga had taken a step backwards inside the goal to clear. Still, there was no way, despite Nepal’s primordial camera technology – not to mention infernally long and badly timed replays – that I will ever agree that the entire ball crossed the line. The timing of the goal – or the non-goal, depending on one’s point of view – could not have been worse – or perfect, if one comes from Central Asia. Experts state frequently enough that the most damaging of opening goals from a psychological perspective are those scored just before the half. Instead of coming out for the second half to try and win the game, a team instead finds that it has to come out to get a goal back. The task becomes even harder if it was never a goal to begin with. As far as I am concerned, this referee has ‘refresher course’ written all over him. One would think, given the frequency with which he was brandishing his card for the pettiest of reasons, that Christmas time was fast approaching. While I do not condone petulance in players, neither do I condone erroneous decisions that bring out the petulance in the first place. It is always during times of adversity, though, that ordinary men stand up to be counted. 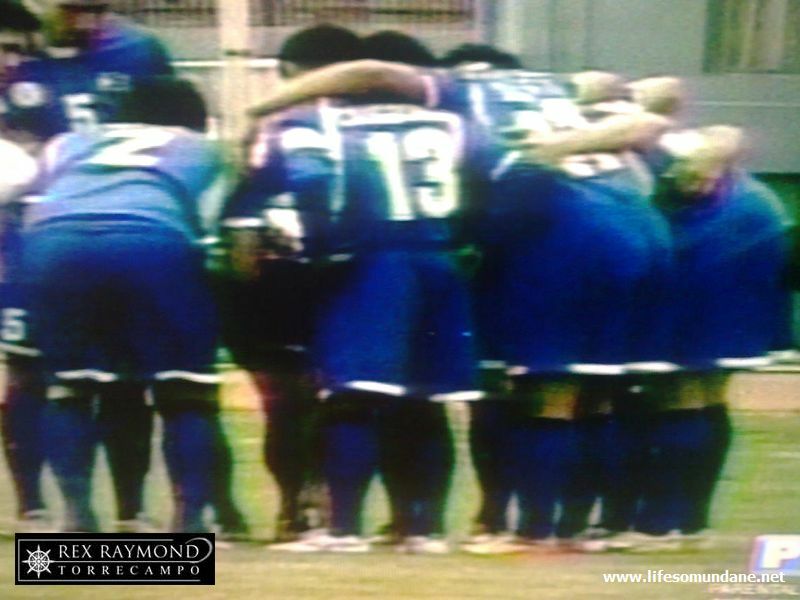 Although down by a goal to a team that in no way deserved the lead, the Philippines went out in the second half to rectify an apparent anomaly – not to mention a great injustice – in the score. 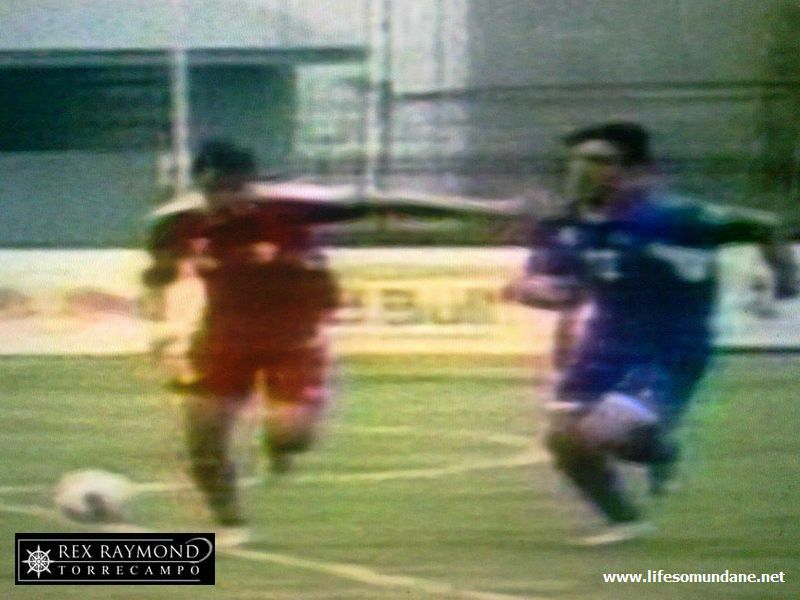 In the 53rd minute, Angel Guirado chased a ball left side of the Tajikistan box, dispossessed the defender and then laid on a perfect ball for Phil Younghusband to score. At that distance, and completely unmarked, there was no way that Younghusband would miss. With parity restored, Tajikistan lost the fluency of its passing patterns. 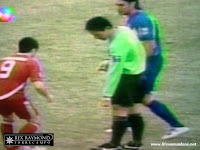 It did threaten to score after Chieffy Caligdong lost possession in a dangerous possession in the 60th minute. The finish, though, was woefully inaccurate. That the Philippines were on the ascendancy was evident in the chances that it was creating. The Younghusband connection was again in fluid motion when James flicked on a long punt upfield by Ray Jónsson to his brother Phil. The latter’s shot, however, was comfortably saved by the Tajikistan goalkeeper. Phil went closer in the 67th when the Tajikistan defence was caught at sixes and sevens. His shot, though, rebounded off the left post. 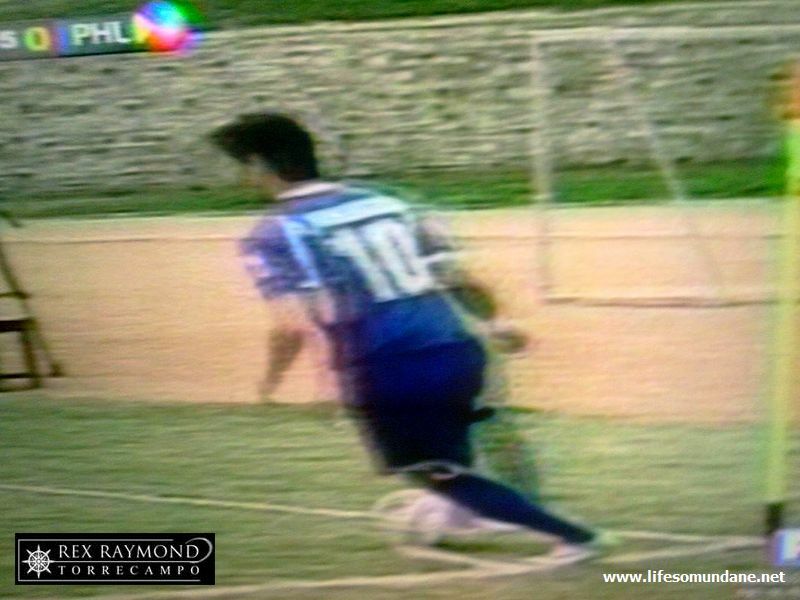 Two minutes later, James Younghusband sent in a delightful cross that was met by Guirado in the middle. The latter’s header was wide. There was a feeling, though, that the Philippines was playing like a predator that had scented blood; and that it was a matter of moments before it went in with the fatal blow. That moment finally came in the 79th minute when Phil Younghusband, after a neat interchange of passes with teammates down the right flank, beat a Tajikistan defender in a sprint to the ball and sent in the most inviting of crosses. Waiting in front of goal was Guirado, who rose above his marker to head the ball into the net for the winning goal. Guirado injured himself in the process; but soon got up to continue playing. Heroes, after all, do not feel pain. 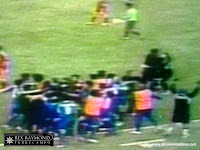 As Tajikistan pushed forward in search of an equalizer, it was also leaving spaces behind for the Philippines to exploit with a counterattack. One such flowing counterattack released Paul Mulders just top of the penalty box. 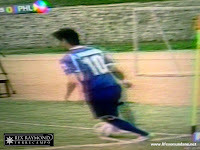 The gifted midfielder cut inside his marker and missed scoring the third Philippine goal by a hair. When the final whistle blew, the entire Philippine team came together in a spontaneous celebration of joy. With the victory, the Philippines earned the right to play Turkmenistan this coming Friday in the semi-finals. The last time that the Philippines were in a semi-final tie, it was stripped of its right to a home game because of the lack of a suitable stadium in the country. Turkmenistan, former runners-up of the AFC Challenge Cup, will not be enjoying the benefit of home advantage twice over as was given to Indonesia on a silver platter. While the Philippines were eventually undone in two eventful ties in Jakarta just over a year ago, on current form the final of the Challenge Cup is not even a distant possibility. In fact, it is a very realistic probability.